Warren Jackman is a leading comedian and professional magician, who has entertained around the nation with his fast wit Comical lines and entertaining magic routines. From Stage Shows to walkaround table magic, from the Casino to Cruise ships Warren has weaved his own cheeky charm far and wide and is in demand for public and private show, or specially designed corporate functions. An accomplished sleight of hand close-up magician, his comedy magic floor show is hilarious. His fast wit, slick patter, and razor sharp one-liners will leave you laughing and bewildered. As one of Melbourne’s busiest corporate entertainers, Warren has managed to ace tennis great John Newcombe, outsprint Tour De France Champion Robbie McEwen, whipped champion jockey Greg Hall into a lather, managed to get $20 from Federal Treasurer Peter Costello and even got Lindsay Fox laugh! 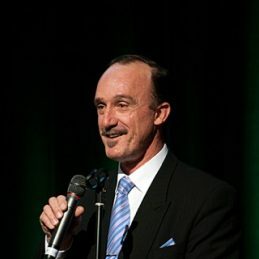 An entertainer’s entertainer, Warren can compere, auctioneer and MC any event, and is also an accomplished hoax speaker. Guaranteed not to offend, Warren’s material fits the occasion. If you are 8 or 80, for plenty of laughs, good solid entertainment, Warren will be the highlight of your event. Warren Jackman has developed a unique cabaret comedy magic act which will leave you laughing and totally amazed. He has performed at for many well know clients such as Pratt Industries, Kraft Foods, Digital, Myer, Mercedes Benz, BMW, Shell and BP. Whether you are 8 or 80, for plenty of laughs and mind-boggling magic, Warren Jackman will be the highlight of your function. If your wanting your event/function to be memorable then book Warren now!